It’s that time of year — when a dessert-themed upgrade to the Android OS lands for a select group of Android phones. Android Oreo doesn’t revolutionize Google’s operating system, but it does bring key performance upgrades in the shape of improved battery life and finer control over push notifications — a godsend for anyone prone to distraction by an inopportune alert flashing on their lock screen. And a major boost to general security will protect users on public networks, integrate third-party password managers, and enhance scanning of apps on Google Play, where a number of malware-packing apps have recently made the rounds. One of the most noticeable — and useful — new features is notification dots. On the home screens and app menu, dots in the top-right corner of an icon will indicate that there are alerts waiting in the app. Other enhanced notification controls include the ability to snooze alerts from the swipe-down notification menu — you can tap an alert to have it reappear in 15 minutes, half an hour or an hour. Also, the music or video player notifications that appear when you play media will be interactive, so you can pause, rewind and forward directly from the notification menu. You’ll have more control over how apps notify you of events, thanks to “notification channels” that separate notifications by type (depending on what the app supports), and then set the alert for each type: vibrate, ping, display on the lock screen or none of these, for example. Where apps allow the use of two accounts — such as with email — the same rules would apply to notifications from each. Certain video apps will be able to play in a small window on top of other apps so that you can, say, conduct a video call or watch a YouTube video while you take notes, browse the web or write an email. Videos playing in the Chrome browser in full-screen mode can also be dragged onto another app. At the time of publication of this article, this feature was only working with YouTube Red, the ad-free subscription service, and full-screen videos in Chrome, but presumably, as Oreo is rolled out to more handsets, it’ll support other video-centric apps. 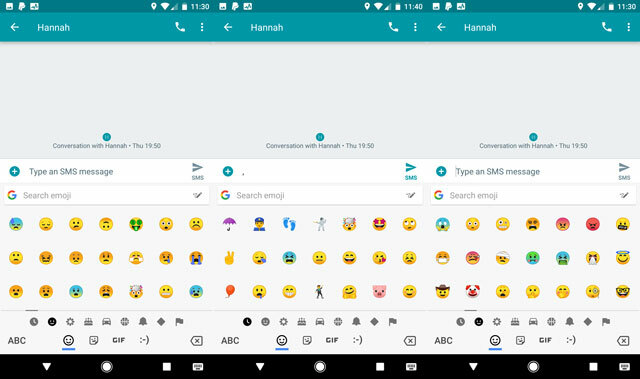 Emojis are set to become more nuanced than ever, as Android Oreo introduces 69 new icons, including the evocative “mind-blown” smiley, a super-cute hedgehog and, just in time for Halloween, a vampire and what seems to be a zombie Hulk. The general design of the emojis has been streamlined too — slightly smaller, more intensely colored, and dare we say, cuter? 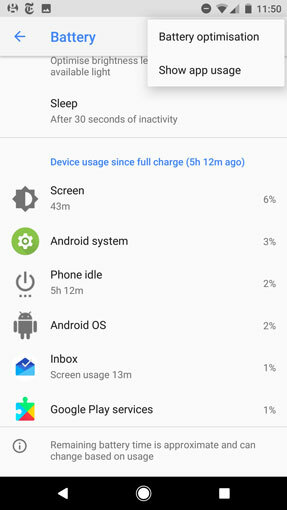 The introduction of Doze mode in Android Lollipop has been steadily improving battery life, and saving power has remained a priority for the Oreo update. New restrictions on how apps work in the background should make for more efficient performance. A backend update limits what apps can do when they’re not in use — it includes a default block on location updates (GPS being a major drain on smartphone batteries) and minimizes background activity. Starting up the phone should also be faster — nearly twice as fast as in the previous version of the OS, 7.0 Nougat, at least as tested on the Google Pixel. There’s also an update to the battery settings menu that shows how much battery is used by device processes such as the screen or the Android OS itself, which can be handy in diagnosing malware or device malfunction. Available for Nexus and Pixel devices since Android 5.1, the Wi-Fi Assistant can automatically connect Android 8.0 phones to high-quality public Wi-Fi networks, and further protect your data by transmitting it via a Google-operated VPN. You may need to enable this feature in Settings > Google > Networking > Wi-Fi Assistant. Google has updated Google Play Protect to provide increased security for your device. Now it provides browsing protection in Chrome and scans 50 billion apps daily to detect and remove malware. A feature called Instant Apps will allow users to access apps without downloading them — which can be handy if you only need to use it once or twice, say, to read a particular recipe on a cooking app, or buy something at an online retailer. So far, only a few apps — including Buzzfeed and Periscope — work in this way, but as more developers get on board with building their apps so that they can be accessed on a segment-by-segment basis, you’ll have faster access to services whose apps you haven’t downloaded. 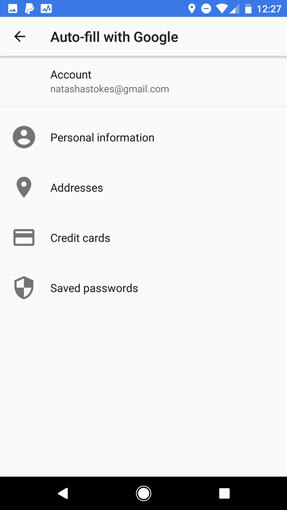 If you use a password manager such as Dashlane or LastPass, Android Oreo will support much smoother logins and personal info autofill from these services. Though password manager apps can be used on pre-Oreo phones, the mechanism for these services to autofill data is clunkier and doesn’t always pull the correct information. A major update will be invisible to users but bear significant results: The Android system will be updated so that it’ll be easier and faster for phone manufacturers to integrate the software with their OS overlays. In other words, no more waiting up to a year for an Android upgrade to land on non-Google phones — although it’s important to note that this feature will be available only to phones that ship with Android Oreo, and to Pixel and Nexus phones. 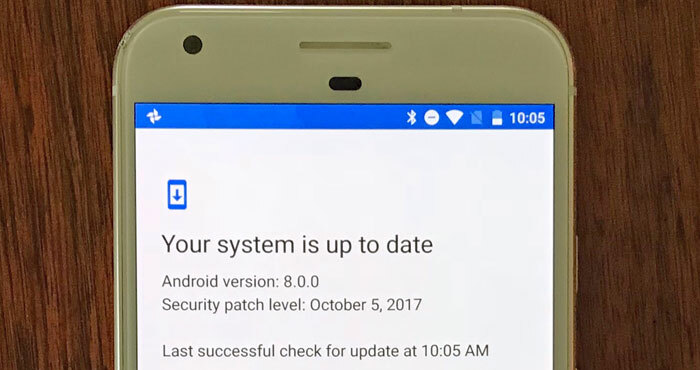 Android users will receive a notification when Oreo is available for their devices — or you can check yourself by heading to Settings > About > System updates > Check for update. Increasingly sophisticated Android phones will get the software they deserve, with display enhancements that allow for more intense colors and a wider range, while audio players will get a major boost to Bluetooth connection, incorporating Sony’s LDAC tech for high-quality wireless playback along with more than 30 audio upgrades and 250 bug fixes also contributed by Sony. Android Oreo will be designed to better support navigation by physical keyboards as well as touchscreens — which is handy if you have Android tablet or smartphone apps that you’d like to use with a Bluetooth keyboard, for example. It also means that Android apps will play better on Chromebooks. Screen-sharing from a smartphone to another display is possible through some third-party apps, but Android Oreo adds the native capability to phones. This feature will work for apps that support multiple windows, when the smartphone has been paired to another display. According to the developer notes, users will be able to specify one screen to be the active screen, with all other apps paused (handy for not draining that battery). A small but useful update to the camera is the addition of an on-screen button to switch between stills and video (where previously you’d swipe to access the different cameras). You’ll also be able to zoom to 50% (and back) by double-tapping the viewfinder. Searching for a Wi-Fi network can cause serious battery drain, which is why many people turn off their Wi-Fi unless they’re at home or work. Android Oreo will add the Settings option to set Wi-Fi to automatically turn back on in the presence of a saved network. Running out of space is a common refrain for smartphone users of all stripes. 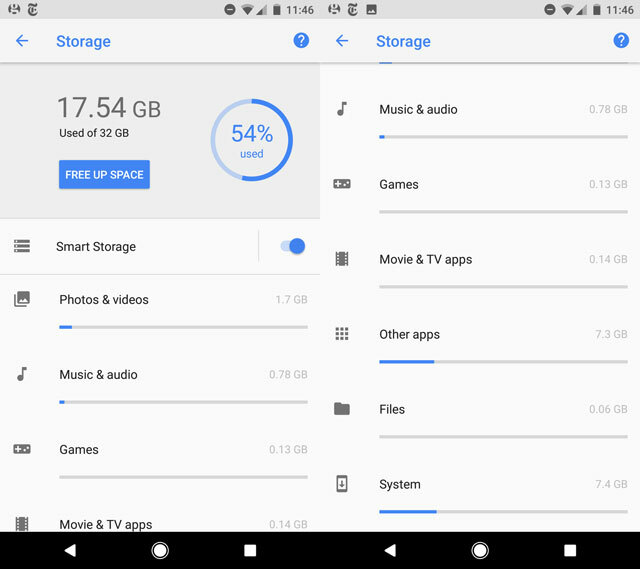 Android Oreo will add a little more control over your ability to clear out digital stores by providing a breakdown of how much storage is being used by various categories of apps, such as Photos & Video, Music & Audio and System — this should help you decide where to start deleting. Android users have seen a number of evolutions in home screen icon styles, including those introduced by manufacturers like Samsung or LG. This can make for an eclectic collection of icon designs on home screens, putting the onus on app developers to design multiple versions of their icons. 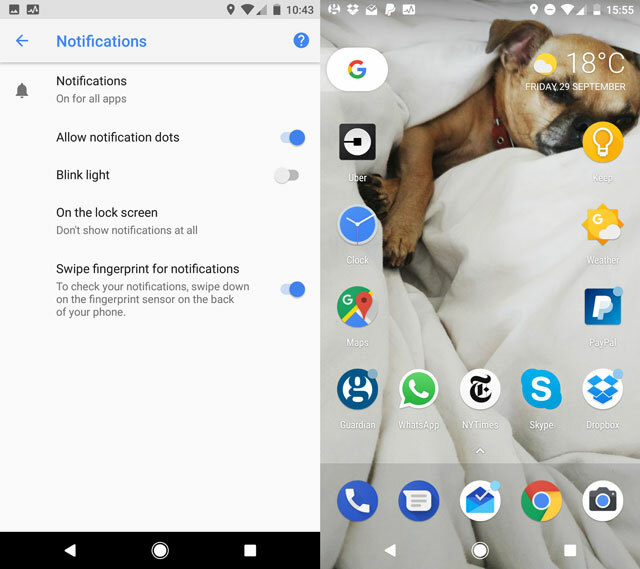 An Oreo feature called “adaptive icons” will automatically resize icons so that they match their phone’s system settings and appear consistent on users’ home screens — and developers need only create a single style. Does anyone really want to watch youtube while writing an email? Isn’t this feature just a gimmick?